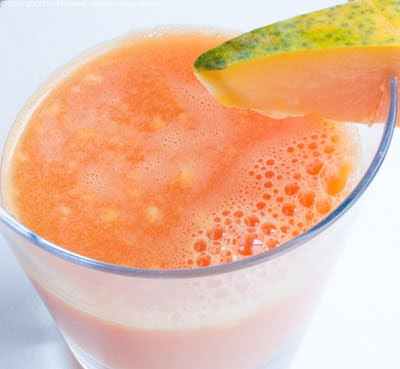 Fresh Papaya Juice. Tropical Juices. Part 2. Papaya super fruit facts here. 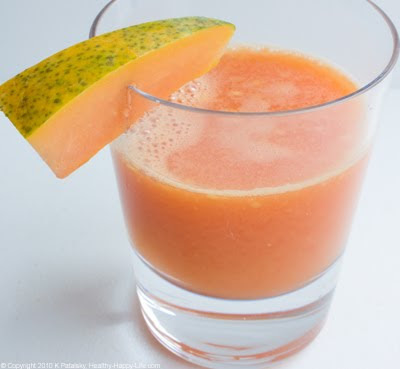 Papaya Juice. I adore papayas. It's bordering on obsession. When they go on sale for at Whole Foods, I stock up and buy 2-3 at once. I have been eating papaya almost every morning for the past few months. 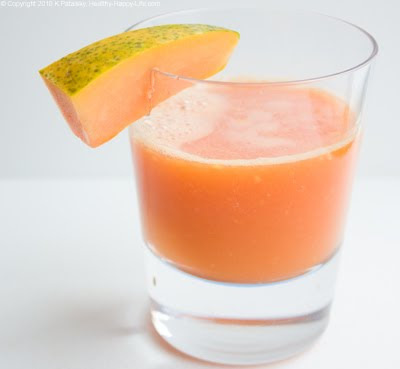 Those cool, creamy, tummy-soothing spoonfuls of red papaya are addicting. Hydrating, nutrient-rich and easily digestible. Papaya is awesome. So what about papaya juice??? 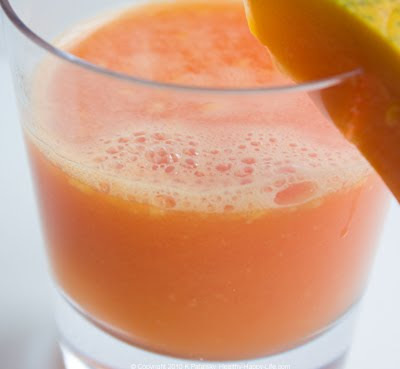 It's not juice, it's more of a papaya nectar. 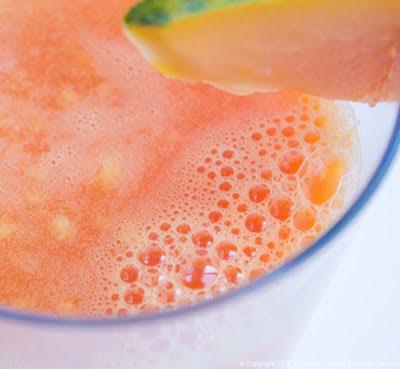 Since papaya breaks down so easily, some of the soft pulp slips through the gears of the machine and forms a thick silky nectar juice. Taste? It's good, succulent actually. Chugged it. It would be yummy in a frozen papaya blended smoothie or margarita. But for now, I'll stick to eating my papayas whole. 1. Slice papaya into chunks. 2. Remove skin and seeds. 4. 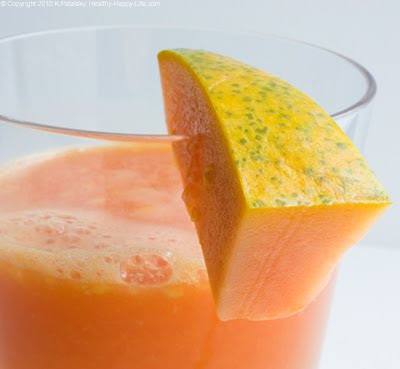 Tip: Stick your papaya in the fridge before juicing so that your juice will come out cold.